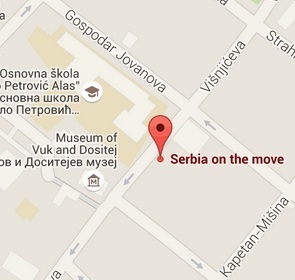 Social Club of Serbia on the Move invites you to new gathering. This time you will have the opportunity to watch the play based on the Miro Gavran’s “Creon’s Antigone”. Playing the role of Antigone, young actress Iva Kevra will present her Master exam work. Her partner on stage will be Vahid Džanković in the role of Creon. The audience can expect contemporary interpretation of this antique piece that deals with universal human dilemmas. So, what’s she like, this Antigone? “Through the years she became the symbol of relinquishment, altruism and sacrifice, she changed her clothes, the way she combed her hair, sentences she spoke, she even changed her own defeat. Every time she chose the tragic death in the name of her heroism, opposed the state and the laws that weren’t in accordance with her. Gavran’s play is the play of two characters – of Antigone, sentenced to death and sentenced to Creon,” – that is all that the organizers wanted to discover. If you want to find out more, be sure to show up at Klub Petak (Lomina 14, Belgrade) on Sunday, January 29th. The show begins at 20.00 – we recommend cshowing up a bit earlier, so you can take the best seats. After the play, Klub Petak invites you to stay for the concert. Social Club was founded on the idea that culture is the base of everything and that any form of development is impossible without it. By promoting the work of young artists and setting the current cultural content in the non formal and interactive atmosphere of clubs and galleries, Club is dedicated to practicing one of the 13 points of Serbia on the Move – that art and culture should always be available to us. Everybody who wants to know more on the Club’s activities can contact it via e-mail socialclubsup@gmail.com or visit their official Facebook page.